Alex Kosmala, MS 1990, winner of the 2016 Aerospace Engineering at Illinois Distinguished Alumni Award, attended Illinois as a French citizen after creating an exchange program between the university and his Engineering school in France (ENSEM – National School of Electricity and Mechanics). He chose the Aerospace Engineering Department, as he has a passion for everything aerospace and aeronautical. Illinois awarded him a fellowship based on merit. While on campus, he interviewed with French companies, fulfilling his obligations to do military service by working for a French company abroad. Schlumberger offered him an internship to work in the company’s Houston, Texas, facility. As an intern he patented a noise cancellation system that allowed Schlumberger drilling tools to break the 10,000-foot communication distance and reach 30,000 to 40,000 feet. This breakthrough launched his career in Schlumberger. The named inventor of 10 patents, Kosmala has since held multiple management and executive management roles in engineering, manufacturing and operations around the world, in most of Schlumberger divisions. After leaving Schlumberger in 2010, he became President and Chief Executive Officer of Artificial Lift Company Ltd., a worldwide oilfield service company. He is now the Executive Vice President of Saltel Industries, an international family-held oilfield service company. Kosmala gained American citizenship a couple of years after leaving Illinois, and maintains his experience at the university convinced him this was his country of choice. KOSMALA: Looking at the breadcrumb trail or theme throughout my career, one can find large complex systems and creativity. I derive most satisfaction solving complex problems. These can be engineering problems. I have patented, designed, introduced and commercialized the “Point the bit” PowerDrive Exceed Rotary Steerable System. This is one of the most complex engineering systems ever developed in Schlumberger. It is an intelligent drilling tool, working in a well, near the drill bit, which can steer the bit making decisions on its own 20,000 feet to 35,000 feet from the surface. It involves an alternator to generate electrical power, a brushless DC motor to control the direction of the bit, and advanced embarked electronics to control the entire system in a closed loop control – making steering decisions using numerous sensors to determine its position in the Earth and the oil/water/gas content of the surrounding rocks. Failure is not an option, in a high temperature, high pressure, high shock and vibration and sour environment. The system is still in use today and generated billions for Schlumberger Drilling Segment. These can also be business and human problems. When transferred to Kuala Lumpur, Malaysia, to run Completions in East Asia, my marching orders were to take over a finishing project with no business pipeline, so either close the remote location or find a new revenue pipeline. After discovering that Asia was a Sand Control business, requiring two very distinct divisions of Schlumberger to work together, I worked with the newly established Sand Control vice president in Houston to radically change the sales and operations structure to diversify the revenue from the one large core Completions project to a fast growing (over 200 percent growth) Sand Management, Reservoir Monitoring & Control and Core Completions operations. I established a 3-year plan to capture true market size and segmentation, covering six countries (Malaysia, Brunei, Vietnam, Myanmar, Thailand, and Philippines). I managed the business profitably through recession and growth and was awarded large contracts with Majors, National Oil Companies, and Independent Oil Companies including 5-year Reservoir Monitoring & Control contract and Shell Gumusut Sand control contract – which involved moving the Schlumberger BIGORANGE Stimulation and Frac deep-water vessel from the Gulf of Mexico to Asia. This fast paced growth in turn forced an internal operational and quality and HSE restructure, achieving strong Service Quality impact and re-designing the existing operations bases for LEAN while creating new bases. I was awarded an “Outstanding” Performance Review from Houston HQ. The last 2 roles as President and CEO and EVP also brought their share of satisfaction as I got exposed to the legal aspects of establishing and growing a multinational company, with different entities in different countries. To the risk of reiterating a cliche: people are everything! They make the company, they are the company and they also are the reason no company is perfect. KOSMALA: I have to recognize two outstanding individuals at Illinois who helped form my thinking and personality before going out to the working world. First of all, Prof. Harry Hilton, who took me under his protective wing and helped me feel welcome learning high level Engineering in a totally foreign environment. I really thought I could spend my evenings in Chicago before landing in Champaign! Also g was 9.81 for me. This was a constant. How could it all of a sudden be 32,2? Who uses ft/sec2? Isn’t there one international measurement system? The stochastic mechanics class was difficult enough to grasp, why would someone change the constants? I would also like to recognize Prof. Navaratnam Sri Namachchivaya, who patiently took me through the beauty and complexity of statistical mechanics, and exposed me to yoga! This was a real breakthrough for me. KOSMALA: My career and life in general taught me that values are everything. I was once told I was an atypical CEO because I managed by values. This prompted a deep reflection, and helped me decide who I wanted to be. I also learned that life is not designed or meant to be easy in any way. Dennis Wholey, the American television host and producer, said that “Expecting the world to treat you fairly because you are a good person is a little like expecting a bull not to attack you because you are a vegetarian.” When all is said and done, stability comes from basing your life on three pillars. We engineers know that chairs with three legs are the most stable as you can only run one plane through three points. These three pillars are 1) mental – developing your mind, staying curious; 2) physical – you have to exercise and eat healthy to take care of your body; and 3) spiritual – the heart and the soul are the foundations of the human being. I am an avid tennis player and can still hold my own on the court versus players who have played in the most notorious world tournaments. I hope they would agree with me. I also have learned that life is a succession of ruptures. This is also the way all companies live and grow – or they die. “Motion creates motion,” like my dear wife, Carmen, likes to say. Every encounter, every step you take outside, is a new card, a new option created: motion. KOSMALA: Going to a great school like the University of Illinois at Urbana-Champaign, you do not have to worry about your mental development. It is important to take care of the body and spirit with equal attention. 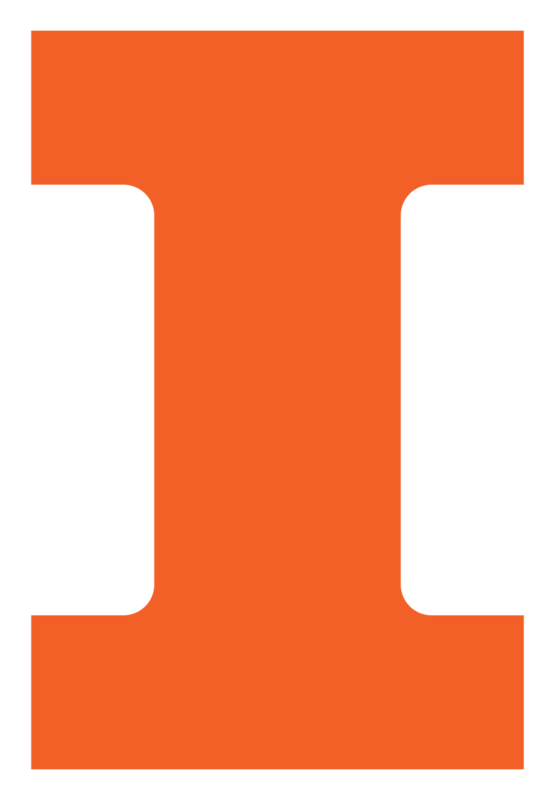 The risk of going to a school like Illinois is that, like me, you have gone through a predictable path of being good in the sciences and worked hard. This may or may not have exposed you to the concept that this vacation or work trip, whether large or small, this encounter, this special event, may have been important, and rather than ending in a prestigious engineering school you could have been very successful at something radically different. It is not too late I reassure you! You have plans, I am sure, but many of you will end up doing something very different from their current plan. And be very successful at it! Who would have thought, as I was deeply enjoying my Aerospace classes, that I would end up drilling wells 40,000 feet into the Earth? And who knows? Maybe I am working in Aerospace again tomorrow? I would enjoy it, I know. KOSMALA: Aerospace engineering has a bright future ahead. It is clear that NASA spending is flat, following the stoppage of the shuttle missions. There is activity around the International Space Station, and some dream projects, like Orion and travel to Mars – and beyond. The real revolution today is in the private sector with the activity around commercial space flight. These frontier people are questioning the status quo and making breakthroughs in the cost base. Commercial space flight is coming – both manned and unmanned. I have had the honor and pleasure to meet several of the individuals on these projects and they are inspiring people. The other revolution coming to Aeronautical Engineering is the Unmanned Aerial Vehicles (UAV) or drones. There are just so many applications now that becoming an airline pilot has become so commoditized. Every large company seems to be working on it, it seems – from UPS to Google. And this is creating so many questions on the management of airspace. This will be a revolution, or a rupture. KOSMALA: In conclusion, I would like to wish everyone a happy life, based on the attention to the mental, physical and spiritual, in equal parts, knowing fully well that the ride will not be easy. You (students) can have full satisfaction that you have made a great start with the mental by graduating from Illinois, brushing your mind with the exceptional people who work there – some, taking you under their wing, some, exposing you to yoga.